OAKLAND, Calif. (KGO) -- A 3-year-old boy who went missing in Oakland Friday after a family friend took the minivan he was in and never returned was located Saturday after an observant citizen spotted the pair, according to police. The citizen, who had seen the Amber Alert that was issued for the boy, contacted police, who then located the vehicle in the 200 block of Santa Clara Avenue in Oakland, police said. Inside the vehicle, officers found the missing boy, identified as Dartanian Brooks, and 48-year-old Tammy Martin. 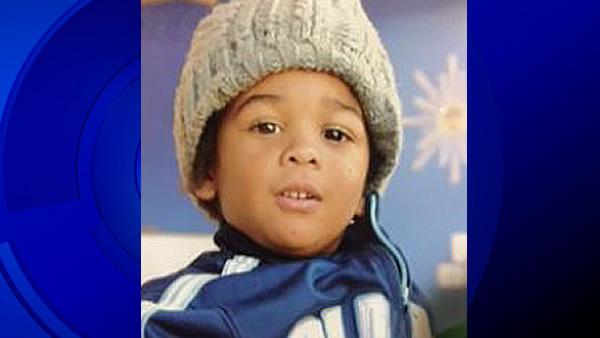 The boy was safe and he was reunited with his mother, according to police. Dartanian was last seen Friday at about 11:45 a.m. in the 10800 block of MacArthur Boulevard in a 1999 blue Odyssey minivan, which was being driven by Martin, police said. The boy's mother had left him with Martin, while she went to a business and gave Martin permission to take the vehicle to a nearby store, believing Martin and the boy would return shortly, according to police. Police did not say whether Martin would be arrested in connection with the incident.